Democracy is today a concept that is overwhelmingly positively evaluated almost everywhere. A lot has been written about socio-economic and cultural backgrounds of democratic regimes as well as their institutional settings. By contrast, not much is known about the political manoeuvres and speech acts by which 'democracy' has been tied to particular regions and cultures in concrete historical situations. 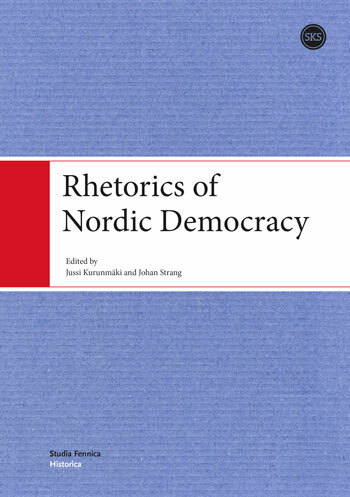 This book discusses a series of efforts to rhetorically produce a particular Nordic version of democracy. It shows that the rhetorical figure 'Nordic democracy' was a product of the age of totalitarianism and the Cold War. It explores the ways in which 'Nordic democracy' was used, mainly by the social democrats, to provide the welfare politics with cultural and historical legitimacy and foundations. Thus, it also acknowledges the ideological and geopolitical context in which the 'Nordic welfare state' was conceptualised and canonised. The contributors of the book are specialists on Nordic politics and history, who share a particular interest in political rhetoric and conceptual history.